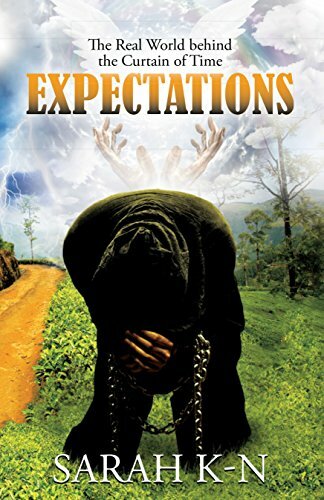 Expectations is a genre-crossing novel with elements of a mystery, suspense, and Christian fiction as well. Did you start writing with this in mind, or did this happen organically as you were writing? 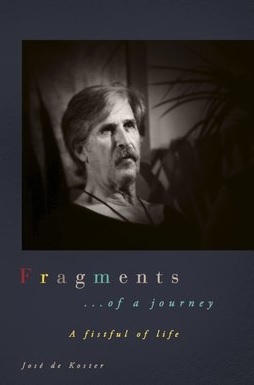 ‎I started writing this novel with one idea that carried my story from start to finish. My focus and intention did not change as my writing evolved. On the contrary, my original idea is what permitted the story to grow and twist and turn as it did. My favorite character is Ace Cadman. He is the most intriguing of these characters because all eyes in this story are on him. At the end of the day, everyone will be turning to him for answers. Or those who are against him will want to see what he is really worth. The initial idea behind this story was to show that God is real, that He is powerful, that He is not a historical figure‎, and that He loves His creation. It was to show that a spiritual reality does exist behind the curtain of time and that God and His army of angels do exist. It was to show how they fight for family, for children, for humans constantly. This idea did not transform as I was writing, it expanded…then exploded. The next book I am working on is a sequel to the first novel. It will be called Expectations II: The Familiar Spirit. I am hoping to publish this novel by December 2019 or 2020. A pastor is faced with a dilemma when his twin nephews, sons of his only brother, cry out to him for help. Faced with all kinds of strange happenings and unnatural events in their house due to their parents adherence with the occult; the childrens fears push them to break a pact of silence established by their father regarding the secrets of their household. How can Ace help his nephews without letting the dark forces that torment their lives affect his own family? The more he struggles to help the twins, the more the Secret Society to which the boys parents belong rage their war of evil upon him. Only a living God could help Ace overcome this war and emerge victorious. But will he; Ace Cadman, have the courage to step into the supernatural realm beyond the curtain of time when his God calls him on the scene? Posted on July 7, 2018, in Interviews and tagged alibris, author, author life, authors, barnes and noble, bible, book, book club, book geek, book lover, bookaholic, bookbaby, bookblogger, bookbub, bookhaul, bookhub, bookish, bookreads, books of instagram, booksbooksbooks, bookshelf, bookstagram, bookstagramer, bookwitty, bookworks, bookworm, church, ebook, Expectations: The Real World Behind the Curtain of Time, faith, fantasy, fiction, god, goodreads, history, ilovebooks, indiebooks, inspirational, kindle, kobo, literature, mystery, nook, novel, occult, publishing, read, reader, reading, religion, religious, sarah kn, secret, shelfari, smashwords, society, spirit, story, strange, supernatural, suspense, thriller, writer, writer community, writing. Bookmark the permalink. Leave a comment.